Lupus (commonly known as systematic lupus erythematosus) is a chronic, autoimmune disease that can damage multiple parts of the body, including skin, joints, and internal organs. Typically, the immune system produces proteins called antibodies that protect the body from foreign invaders such as viruses, bacteria, and germs. For people with Lupus, their immune system cannot tell the difference between these alien invaders and their body’s healthy tissues. As a result, their bodies will produce “autoantibodies” that attack and destroy healthy tissues. This invasion causes inflammation, pain, and damage to multiple parts of the body. The symptoms of lupus include; achy/swelling joints, fatigue, fever, anemia, rashes, chest pain, shortness of breath, and skin lesions. These symptoms are often at their most severe during periods of Lupus “flares.” A Lupus flare can be unpredictable, and there is no way of predicting the length, frequency, or severity of a person’s flares. Lupus is a condition that is specifically listed in Social Security’s Blue Book listings of impairments. To be found disabled based on the listing requirements, a claimant must prove that their condition meets or equals the severity level detailed in listing 14.02. Even if a claimant’s condition does not meet this threshold, they can still be found disabled based on the physical and mental limitations caused by their disease. For instance, a person with frequent Lupus flares may lack the physical and mental aptitudes during those periods to perform even necessary work activities; thus, rendering them incapable of sustained, competitive employment. 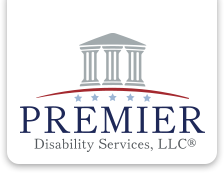 Premier Disability Services, LLC has extensive experience assisting claimants suffering from Lupus. If you have this medical condition and are unable to work, please contact our office for a free evaluation of your claim.